Dan practices physical therapy at the UW Health Sports Rehabilitation Clinic. Dan specializes in treating athletes with an emphasis on the effect of sport biomechanics on injury and return to sport. Dan has a special interest in swimming- and cycling-related injuries and is the co-coordinator of the UW Sports Rehabilitation swimming and cycling clinics. Dan is a member of the Wisconsin Physical Therapy Association and the American Physical Therapy Association. He is licensed by the State of Wisconsin for physical therapy and athletic training. Dan sees patients upon referral and through Physical Therapy Direct Access (self referral). Dan holds a Bachelor of Science degree in physical therapy from the University of Wisconsin-Madison and is certified by the National Athletic Trainers' Association as a certified athletic trainer. 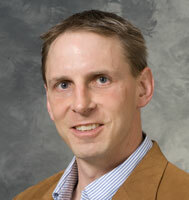 He is board certified in sports physical therapy by the American Physical Therapy Association.